Tasha Blaine completed her MFA at New York University. After working briefly as a nanny herself, she spent more than five years researching and interviewing nannies at their workplaces and in their homes. Blaine was born and raised in New York City and now lives in California with her husband and two children. When she was in her early thirties, Tasha Blaine briefly worked as a nanny. She expected an easy, nine-to-five stint, but instead she discovered the vast, varied, and largely unknown world of nannies. Often overlooked and invisible, these women also hold great power in the families who hire and fire them. Blaine learned what so many parents want and need to know: What does our nanny think of us? And what happens all day behind our front door? 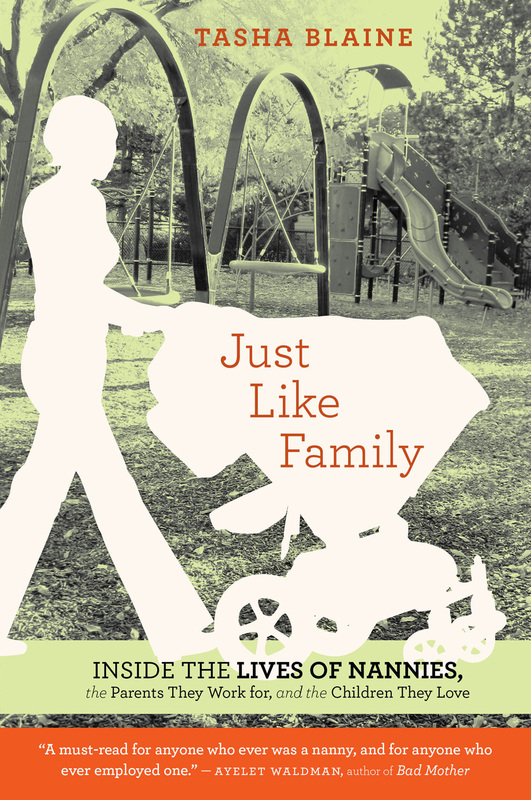 "Just Like Family" tells the nanny story from the nanny's point of view, revealing both the joys and heartbreaks of caring for a child not your own. Blaine immersed herself in the lives of three nannies in three cities and three very different situations. We meet Claudia, who left the Caribbean to become a nanny in New York and is struggling to support the son she left behind. We get to know Vivian, a young, white, college-educated woman from Boston, who wins a Nanny of the Year award even as she absorbs the painful truth that her role in the family is shrinking as her charges grow up. And we witness the struggles of Kim, a top Texas nanny who dreams of having her own family, as she moves in with a couple expecting their first baby. With grace and power, "Just Like Family" opens a window into this very complex and intimate relationship, taking us deep inside the lives of women whose job it is to love.